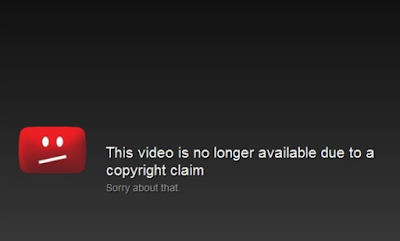 It's been an exciting few weeks for copyright around the world. This CopyKat takes a look at three "David vs Goliath" disputes, in which parties (respectively) include the US Government, Fifa and an 8 year-old boy, and one of Africa's largest telecoms companies. Also in the news: YouTube rolls out its anticipated Copyright Match tool, copyright collecting societies in Kenya continue to struggle with accountability, and China launches an IPR awareness campaign. Between 2011 and 2014, the United States Postal Service (USPS) used an image of the Statue of Liberty for its Forever Stamp series (a type of First Class postage stamp). Unfortunately for the USPS, the image they chose was not actually of the famous statue that towers over New York Harbor designed by French sculptor Frédéric Auguste Bartholdi in 1886. Instead, the image they chose was actually Robert S. Davidson's replica Statue of Liberty which looks over the New York-New York Hotel & Casino in Las Vegas. Davidson sued for – and won – nearly $3.5 (£2.6) million in royalties, plus interest. 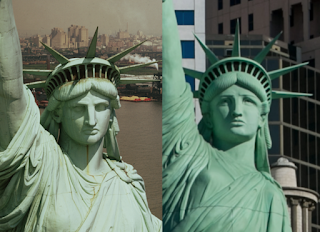 The statues in NYC (left) and Las Vegas (right). The Post Office purchased the photo used on the stamp from the image service Getty for $1,500 (£1,140). However, the license only covered the rights to Getty's photograph of the statue — and not the statue itself. The USPS neglected to seek permission from Davidson, likely because they simply assumed what it was using was in the public domain. Davidson argued in his lawsuit that he wasn't trying to create a replica of the original, but rather to craft a fresher, more feminine version. As was later quoted in the ruling, he “envisioned his mother-in-law as inspiration ... and viewed her picture every night during the construction of the face of the statue." As the CopyKat mentioned last month, YouTube has been beta testing a feature called Copyright Match, designed to find re-uploads of content on other channels. The tool will point content uploaders (creators) to instances where their work has been stolen, and allow them to request that YouTube delete the guilty party’s video on the grounds of copyright infringement. Last week, YouTube channels with more than 100,000 subscribers received access to the new tool. When a creator uploads a video to the Copyright Match tool for review, other video uploads on different channels will then be scanned to detect similar content has been uploaded. Fabio Magagna, the product manager for the Copyright Match Tool, explained on the YouTube Creators blog that “when there is a match, it will appear in the ‘matches’ tab in the tool and you can decide what to do next”. Although YouTube already offers an automated copyright-flagging system called Content ID, Copyright Match is different because it’s designed especially for YouTube creators who have problems with unauthorized re-uploads. By YouTube’s own admission, the Copyright Match is “a powerful feature,” which will be monitored closely in its early stages. Magagna noted that the software will continue to expand over the coming months, “with the long-term goal of making it available to every creator in the YouTube Partner program.” The company insists that takedown requests will be reviewed to make sure they comply with YouTube’s copyright policies. The introduction of Copyright Match comes at a time of intense debate surrounding user-uploaded content on social media platforms such as YouTube. In particular, The European Parliament recently voted to reject a new copyright directive. At the heart of controversy for many was Article 13, a section of the proposed directive that focuses on the use of copyrighted material uploaded by users. And yes, in case you’re wondering: new YouTube video reviews of Copyright Match are already available to watch. Fifa takes down celebratory World Cup dance video: is this a step too far? When England’s captain Harry Kane scored a goal against Tunisia, a mother filmed her 7-year old boy celebrating the moment. She subsequently posted the short 5-second clip of him dancing in the living room on Twitter. However, FIFA - Football's ruling body - ordered the clip removed from Twitter. FIFA claimed the clip infringed their copyright, as viewers could see blurred football action from the family's TV in the background. Speaking to the Mirror, Kathryn Conn explained that her son “is a massive Spurs fan and he absolutely worships Harry Kane so he started dancing around in the living room. All you can see on the TV in the background is a really blurry replay of the goal. It's hardly visible." England captain Harry Kane won the Golden Boot for most goals scored in the tournament. By way of background, Fifa reports on its finances page that around 95% of its revenues come from the sale of television broadcasting, marketing, and licensing rights related to the FIFA World Cup. From the 2014 World Cup in Brazil, Fifa hauled in $4.8 billion in revenue, which turned a $2.6 billion profit for the association (which is then re-invested into development projects). Compared to ticket sales earned $527 million, Fifa’s broadcast revenue topped $2.43 billion, while sponsorship fees brought in $1.6 billion. Did Safaricom steal Songa app from former employee? Gikunda claims that he created the music app between 2012 and 2016. In 2013, while working as a developer at Radio Africa, the Chief Executive at Radio Africa Patrick Quarcoo “persuaded Gikunda to partner with him to ensure that the product gets to market” (IPKenya). According to Gikunda, Quarcoo proposed that that once Radio Africa’s Board of Directors sanctioned its participation in his app, they would share out the ownership of the app. The ownership was proposed at Radio Africa – 40%; Gikunda- 30%; Quarcoo- 20%; and the remaining 10% to a strategic partner. In 2016 Gikunda left Radio Africa (under less than favourable circumstances) and says that after his resignation, Quarcoo sold the app to Safaricom without consulting him. Gikunda had not been “involved in the process at any stage, and neither has he benefited from it; despite the claims he created the platform” (innova8tiv). As with most intellectual property disputes arising between (former) employees and their bosses, establishing the ownership of the copyright subsisting in the Songa app lies at the heart of this matter. Gikunda is asking the High Court to compel Safaricom and Radio Africa to reveal how much money they have made from ‘Songa by Safaricom’ and is seeking damages. To be successful in his claim, Gikunda will need to establish that he created his app outside the scope of his employment with Radio Africa, and that the app currently used by Safaricom is a reproduction or adaptation of his original app. To complicate matters, Gikunda’s app has been known under a variety of other names, including ‘NakedGroove’, ‘The Platform’, ‘The Music Platform’ and ‘RAMP’ – the latter being an abbreviation of either ‘Radio Africa Music Player’. Additionally, neither Gikunda nor Radio Africa obtained copyright registration, which further confuses the evidence. This calls into question whether or not Gikunda made the program as part of his employment with Radio Africa (see also the work-for-hire doctrine), as well as the enforceability of moral rights for digital works. To achieve an injunction against the companies, which Gikunda is also seeking, he will need to prove that damages alone are an insufficient remedy. Elsewhere in Kenya, the complicated saga of the copyright collecting societies continues. Most recently, the High Court (pictured) ordered the Music Copyright Society of Kenya (MCSK) to account for the money it has collected as royalties and licence fees since January 1st 2017. Justices RN Sitati, DS Majanja and TW Cherere have given the MSCK thirty days to comply with the order (The Star). In 2015, it was noted that MCSK's disbursement of royalties to artists has been decreasing for several years. The Kenya Copyright Board (KECOBO), the government organisation tasked with enforcing copyright in Kenya, established a minimum standard of 70% of revenue to be given back to artists. However, MCSK’s disbursement rates to musicians has fallen to 58.9% of collected revenue. Although MCSK was once Kenya’s largest royalty-collecting body, KECOBO revoked its licence in February of 2017 when MCSK failed to provide audited financial statements. The move came amidst allegations from local artistes over embezzlement of their royalties by MSCK. As the CopyKat discovered back in May, Kenya is not the only African country to be experiencing problems with copyright collecting societies: power struggles with the Copyright Society of Nigeria (COSON) and the Nigerian Copyright Commission continue. China has launched a four-month campaign to protect the intellectual property rights: you can visit the campaign website here. First announced in September, the campaign is seen by many as an attempt to alleviate major concerns among foreign investors, including those in the United States. China’s lack of strong intellectual property rights protection measures “frequently draw complaints from foreign investors and have been a long-standing focus of attention at annual talks with the US and Europe” (South China Morning Post). The Trump administration has officially launched a probe into alleged Chinese intellectual property theft which, amongst other things, led the United States to impose punitive tariffs on Chinese products. The campaign, which will last for at least four months, has been jointly launched by the National Copyright Administration of China (NCAC), the Cyberspace Administration, the Ministry of Industry and Information Technology and the Ministry of Public Security. It will target key areas including unauthorized republication of news and plagiarism on social media, unauthorized broadcasting of copyrighted content on short video sharing apps, and copyright violations by setting up overseas servers. The campaign will also push service providers to enhance their internal supervision systems (China Daily). In 2012, an article on Forbes argued that “IP protection will always be an uphill struggle in China and for companies doing business there,” as individual rights – including intellectual property rights – may be in some instances at odds with traditional Chinese society. In China, many consider that “even the education system works against an embrace of IP protection,” and until IP infringement is seen as an immediate threat to economic success, “few will really care.” Will a potential trade war be the impetus China needs to close the gap?